Urban is the way we live, and urbanization is perceived as one of the greatest opportunities and challenges the planet has faced since humans became social. Cities are simultaneously the hubs of social living, networks, innovation, collaboration, centers of power, and the engines of wealth creation, but are also the prime source of crime, pollution, disease, and the consumption of energy and resources. Today’s digital transformation drives technological advances in rapid speed into the urban reality, with more than 10 billion connected devices in cities expected by 2020. Digitalization is promising in scaling the benefits of urbanization and at the same time controlling or even decreasing the flip sites. For example towards greater citizen involvement and empowerment, more harmonized multi-modal mobility, higher energy efficiency, and sustainability. This talk focuses on potential design principles for applying digitalization in a value generating, ethic way and showcases illustrating experiences and best practices from various cities in the world. Dr. Norbert Koppenhagen, VP, Research & Innovation at SAP SE, drives the research agenda for smart data, in particular in areas of future cities, IoT and platforms. Previously in SAP he was responsible for Rapid Deployment Solutions (RDS) in the area of big data, natural language processing, and social media, and in the area for concept cars and supply management development he drove major product innovations and launch initiatives, working from engineering labs in Germany, US and India. 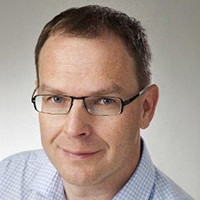 Norbert holds a doctor degree in business economics and informatics from the University of Mannheim focusing in supply network systems. He is a post-doc scientist and lecturer at the University of Mannheim and Karlsruhe Institute of Technology (KIT) for urban networks, enterprise systems, business networks, Industry 4.0 and big data. In addition he is co-founder of the big data innovation lab at the University of Mannheim, former industry chair of the European Data Forum and industry lead of the Memorandum of Understanding for Open Urban Platforms by the European Commission.